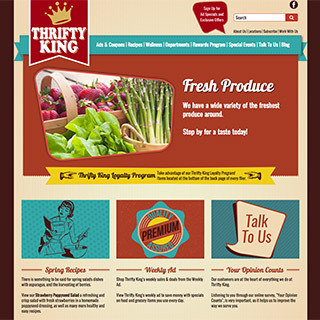 The design of Carter’s Thriftway website features an updated retro look, portraying a friendly, nostalgic, quality vibe. The clients specifically requested interactive features, such as online job application, as well as a simple way for customers to reach out and discuss issues and make requests to the store. Piggly Wiggly Alabama Distributing Company is recognized as one of the strongest cooperatives in the country. 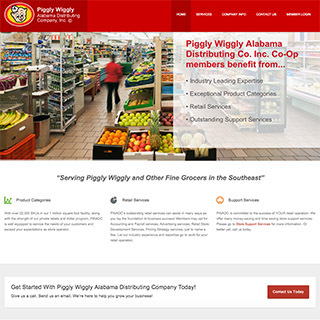 In addition to exceptional department offerings, Piggly Wiggly Alabama Distributing Company provides additional services to help co-op members grow their businesses and keep their businesses running smoothly, such as accounting & payroll, retail store development, pricing, equipment repairs, and so much more. Their newly updated website offers a fresh new look, highlights their services, and shares the company’s philosophies. 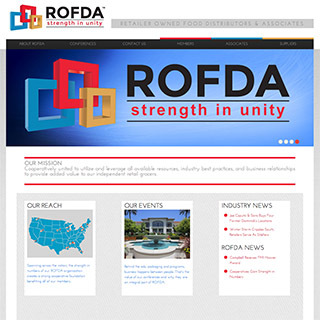 ROFDA is a cooperative formed to facilitate and enhance the success of Independent Retail Grocers. Beyond redesigning their site, we were asked to create a member portal with a forum, directory, and event registration system with payment processing. 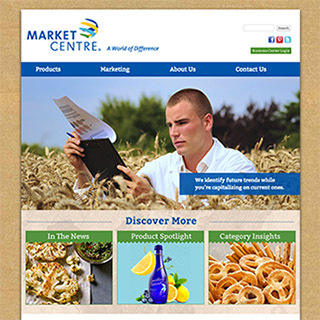 Market Centre is a subsidiary company of Unified Grocers (headquartered in Commerce, California) and sells products, services and programs to retailers west of the Mississippi. Market Centre has the power of a large wholesale cooperative behind it — with the flexibility and ingenuity of a highly specialized, boutique distributor. 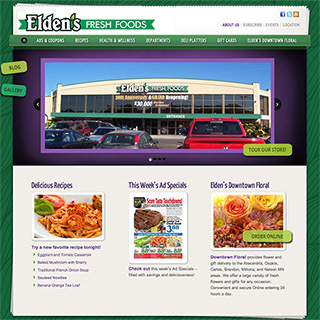 Elden’s Fresh Foods serves the fine people and community of Alexandria, Minnesota. To go with their recent store remodel, they wanted a fresh new look for their site. 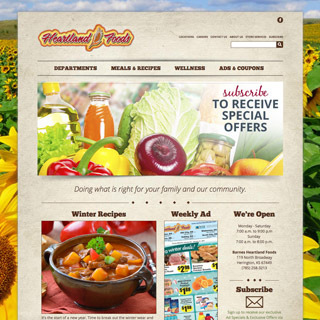 Updates to the Heartland Foods’ website not only gave Heartland Foods the ability to customize their shopping list, but they also strengthened the Heartland Foods’ brand. Heartland Foods stores are in Kansas and Nebraska, in the heart of America. 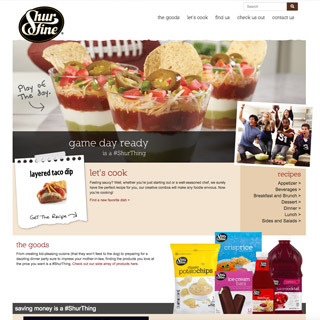 Shurfine received a much-needed boost to their brand when their previous recipes-only website was updated with a more modern design and with multiple website pages. Shurfine has been offering affordable and quality products since 1946.